Candidates seeking admission for M.Tech must have completed B.Tech or equivalent bachelor degree in the relevant field with a minimum of 45% aggregate marks (40% for SC/ST candidates) to be eligible for M.Tech. 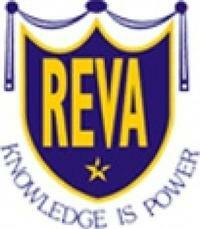 I applied to Reva Institute of Technology and Management, [RITM] Bangalore college through K-CET. I easily got admission in this college since my rank was higher than the cutoff. The campus of the college is 40 acres large. Describing about our department of Computer science and engineering, the faculty here are helping in nature, student friendly and create a platform for innovations through exhibitions and workshops etc. The labs are well equipped and have recently started an incubation centre. Learning is fun at Reva Institute of Technology and Management, [RITM] Bangalore. No cut-offs are mentioned for the course. The local students should clear CET and the non-localities should take up COMEDK for getting admitted in Reva Institute of Technology and Management. Comedk is the eligibility criteria and an application is to be filled for my course. Written and qualified in comedk with a satisfactory rank. 49,000 is the cutoff rank for my course in comedk. Candidate must clear the COMEDK UGET exam and must have passed the 12th from a recognized institute to get admission in this college. I was a diploma student and I appeared for D-CET exams for engineering. The cutoff in my college was 8000. KCET is the required entrance exam for the admission and the rank in KCET should be below 100000. The eligibility criterion is 59% aggregate in BBM degree. The eligibility criteria is to qualify for KCET examination. I have not appeared in any entrance exam for the admission.